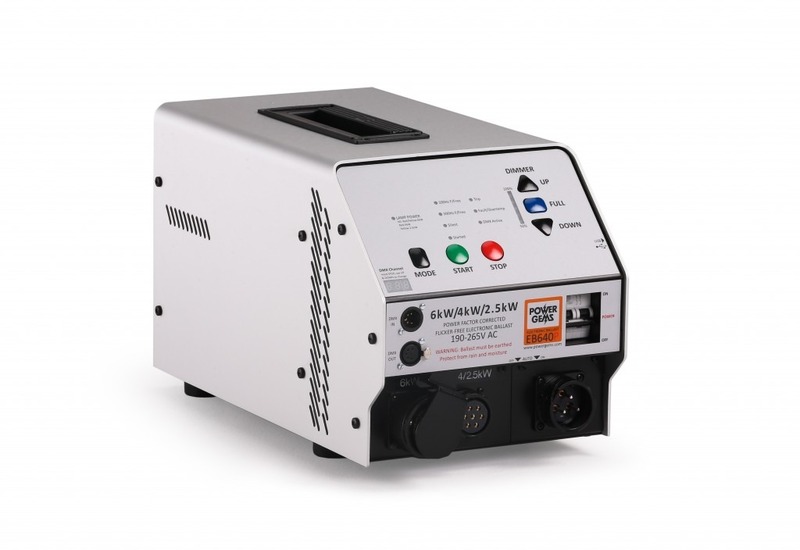 A very light and compact 6,000W ballast which comes complete with Power Factor Correction to minimise current draw, and DMX capability as standard. There are 3 output operating frequencies including 300Hz mode for High Speed shooting. The ballast is constructed using the Power Gems modular system which means that the power circuits can be simply unplugged and even interchanged with modules from other ballasts in our modular range, such as the EB425P.